There are tons of statistics about the failure rate of companies that suffer catastrophic data loss, but the main statistic OXEN Technology is interested in is…will your organization survive without a solid business continuity and data recovery plan? A strong backup solution is also an essential requirement to protect against cyberattacks and nasty threats like ransomware. If your files are corrupted or locked down by ransomware, you can restore all your data from your most recent backup: you won’t lose data or need to pay the attackers. Do you understand ransomware, and how backup is one of your best defenses against your data being held for ransom? 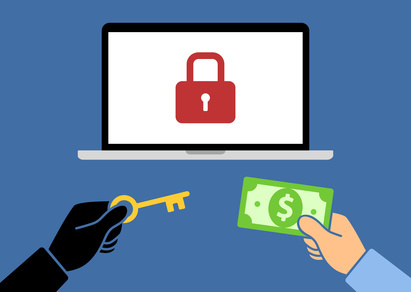 Download our free Ransomware Guide for Smarter SMBs! Protect your business files and data locally and in the cloud. Gain entry-level data protection with file- and folder-level backup. Backup to local and cloud-based data protection services. Increase data protection and business continuity with one platform. Backup data in real-time locally and sync to the cloud. Spin up IT from backup in seconds in the event of a disaster. Simple. We help you. Contact us today to talk to one of our IT experts. We can help you determine your current situation and what steps you should take next, if any. There’s no pressure, and you’ll gain incredible insight into how well your organization is prepared for a data disaster. We will set up and perform your company’s backup. Our team then monitors, verifies, and reports on your backups’ status regularly to make sure that your data is protected at all times. Natural disasters, security breaches, and man-made catastrophes are unthinkable…but they do happen. Protect your organization with OXEN Technology, your strong IT Partner. One of our experts will schedule a short Q&A with you so we can help you see where you are with your backups and continuity plan. Take advantage of this FREE advice and understand your ability to withstand a data disaster.